Almost 10 years after the big property bubble burst, Spain is once again showing how emotional it can get it with bricks and mortar in all its forms. And emotional is the word, because the ‘revival’ of the real estate sector – something which nobody was betting on three or four years ago – is so spectacular that not one day passes when there is not some sort of euphoric news or information emerging about it. Does that ring a bell? Of course figures are figures and these are more than amazing. If we focus on the Socimis, the protagonists of the property market in this current phase, the truth is that the numbers are really impressive. The four Socimis listed on the Ibex 35 index (Colonial has not been in the index for long) since 2014 have succeeded in obtaining revaluations over the last three years of more than 40% and 60%. Merlin Properties has increased its value by 43%; Hispania by 66% and Axiare by 64%. Only Lar has not followed the same trend, up just 6%. So the 10 biggest Socimis now have a total market capitalisation of 16.7 billion euros. Merlin is worth 5.5 billion euros and Colonial 3.1 billion. And that’s something which is completely logical if we take into account that this semester, for example, these companies’ results have been off the scale. Colonial’s have increased by 90% (in a year); Lar’s 50%, Axiare’s 36% and Hispania’s 35%. How have they worked this miracle? There are various reasons, but the main ones are the rise in the updates of these firms’ property assets and the surge in rentals, which have fuelled a corresponding increase in revenues. Lar, for example, has managed to boost its rentals’ income by 40% and Hispania by 16%. For its part, Colonial has announced that rental contracts’ renewals have resulted in a 16% increase, which is amazing in just one year. It shows us that when property prices rise in Spain, they really rise. But this ‘boom’ is neither a coincidence nor is it capricious. Spain’s economy is growing at 3% and companies need office and logistic space, which is increasingly less available if we consider that in Madrid and Barcelona there are few possibilities of new square meters being put on the market, particularly given the current town councils. It’s a similar situation with the hotels in Spain, which are also experiencing a ‘boom’ in terms of occupancy and unprecedented rates. For example, the average occupancy rate of Hispania (which has 11.000 rooms on offer in 38 hotels) rose 83% during the first half of the year, while the RevPar was up 10%. It should be borne in mind that this increase in revenues is due to the fact that a large part of these assets are in the hands of Socimis, which have modernised most of the offices, commercial centres, hotels and logistics parks they have acquired. And so they are renting them out at a higher price. That’s the case as far as revenues go. With respect to valuations, it’s obvious that they had to rise given the huge buying activity on the part of the Socimis. Since 2014, when there was hardly even a small Socimi listed on the MAB index, big companies of this kind have appeared and not stopped acquiring assets. To the point that Merlin has accumulated nearly 10 billion euros worth and Colonial nearly 9 billion. 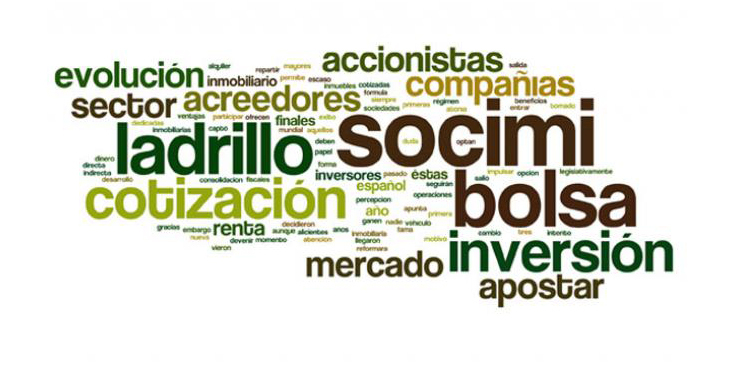 There are currently five large Socimis in the Ibex 35 index (owned by banks and big international investors) and 35 small and medium-sized ones in the MAB. All of them are buying and selling, competing for the best assets still on the market, of which there are increasingly less: this explains why their prices are rising so quickly. And that’s not all. The residential property many Socimis invest in – to then rent out – is also beginning to show signs of euphoria. Some experts have ‘warned’ that the residential market will sell 500.000 homes in one-two years. And that was definitely unforeseen!